So the response I have gotten from my last post has been slightly overwhelming and I have wanted, a few times, to delete it from the website. Revealing and sharing those letters was a “putting my heart on display for all to see” experience. 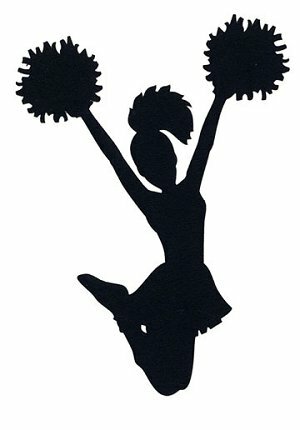 Mostly, what I’ve discovered….Skinny Cheerleader has partners! Not only partners, she has a posse of people on her side. I have come to call them Posse O’ B*tches (P O’B’s). Can you tell I am welcoming them with open arms? LOL. For the last few weeks it has been a S.T.R.U.G.G.L.E for me to stay on the eating healthy path and doing my own workouts over and above my workouts with Emilia or Taren. There were days where I was fine and days where I was so far off the path that I didn’t know which end of the spoon was up in the ice cream. Now, my normal response to this is to beat myself up with a sledgehammer and although I did spend a little bit of time doing this, I wasn’t allowed to do it to long because someone for the P O’B’s was always right there to remind me. This week it was Emilia. It was weigh in and measurements week. I didn’t do so well in the weigh in portion, but I still lost inches. How this works is beyond me, but I trust the measuring tape, still hate the scale though. Emilia reminded me that set backs are not ways to take yourself out, they should serve as reminders to focus on your goal and to not get too cocky or confident with your habits. Although I may not be welcoming the P O’B’s with open arms I am glad they are around because the help keep me focused. Remind me of my ultimate end goal and support me along the way. I am not going to do this journey perfectly and I am beginning to accept that, but it’s still my journey.